The distinctly shaped Pego Oval Fiberglass Planter adds a high dose of sophistication to lobbies, walkways, entrances, decks and swimming pools — wherever a design element is needed to accent a space. The sleek oval lines of this planter offer a shapely foundation to bamboo stalks, tropical plants and other greenery. 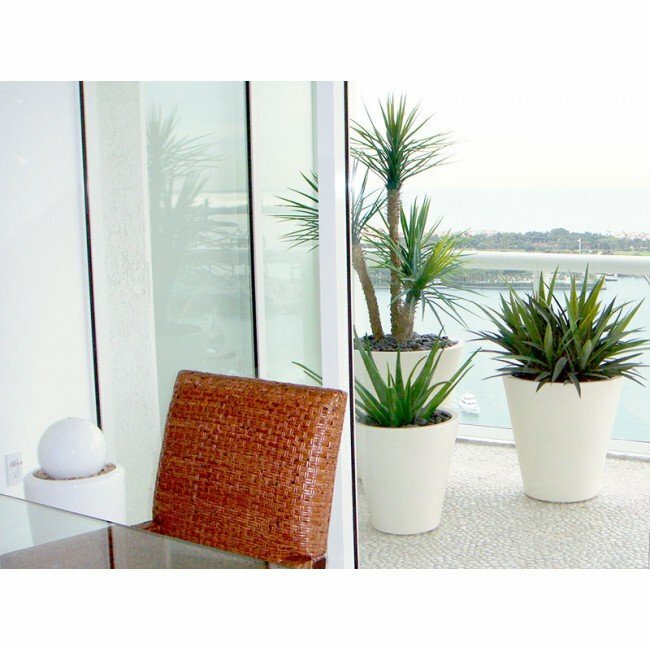 The planter gives off a custom vibe when showcased in office buildings, resorts, hotels, restaurants and other commercial locations. Available in two sizes, 26 inches and 30 inches tall, the Pego Oval Fiberglass Planter provides designers and landscapers the versatility to incorporate style into modern, contemporary and transitional projects. 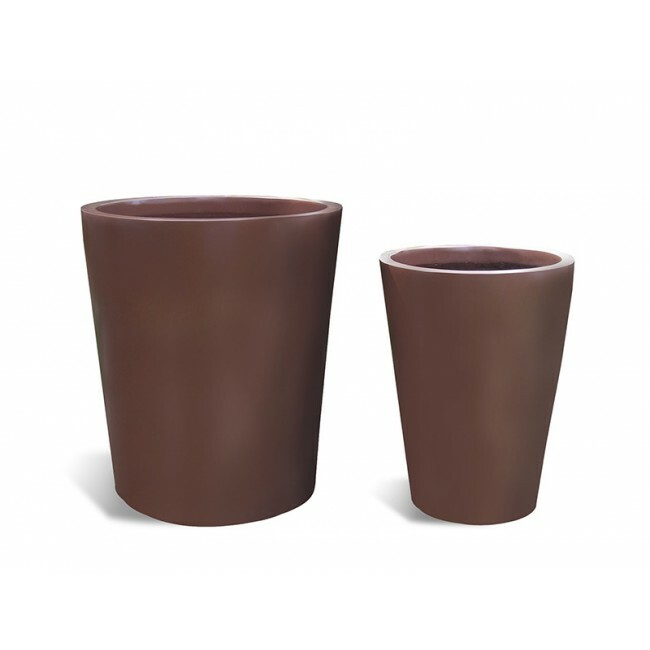 Further customize the planter in one of 16 colors, including neutral hues like Matte Black, Matte Brown or Satin Beige or vivid tones like Gloss Saffron, Gloss Eggplant or Satin Sea Foam. Made of high quality fiberglass by skilled craftsmen, the Pego Oval Planter is constructed to withstand severe weather conditions. The color is applied by hand using an automotive grade process that ensures it won’t fade, even in direct sunlight. Interior: 12" x 14" x 26"
Interior: 19.25" x 22.75" x 30"